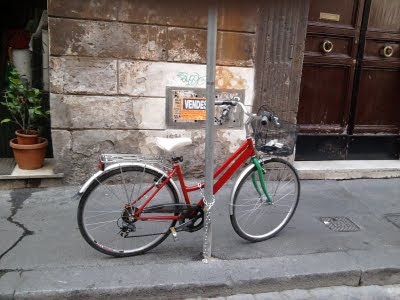 I visited Rome this past weekend and was unimpressed with Bike Share Roma. It appeared the system is abandoned. With the hordes of tourist, buses, taxis, and motorscooters, public transit and walking make better sense. This bike scheme looks to be a failure. Now when I visited Florence where there is no bike share many citizens use bikes. The two cities are very much alike but so different in their citizen behaviors. It could be the larger masses of traffic and tourist have a negative energy. This is my feeling and observation.